Video Greets Lite is the limited version of our Video Greets application. With Hotgreets you can send video Greeting cards to friends, family and even to your coworkers right from your phone. 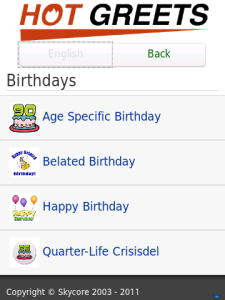 Download the full application for access to over 200 greeting cards. No application is required to receive cards.